Kanban is an inventory and replenishment system that assists in determining what, when, and how much to produce. It is a scheduling system that maintains inventory levels used in lean manufacturing or Just-In-Time (JIT) production. When material is consumed, a signal is sent to produce and deliver another shipment. It is a ‘pull’ system of production based on planned elimination of waste and continuous improvements of productivity. Kanban means “signal board” or “card.” Cards give signals as to how much inventory is needed. It is an excellent method for improving the manufacturing process and an effective tool in helping the running of the whole production system. Kanban systems emphasize to start a manufacturing process per customer orders so that overproduction and underproduction are avoided. Raw material is always in stock, or there is a proper arrangement for it for emergencies and only needed material is used during manufacturing process. 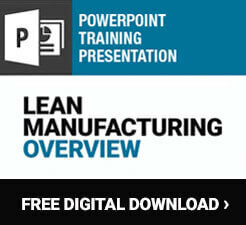 Kanban system can be used by both manufacturing and non-manufacturing organizations. Non-manufacturing organizations will likely want to use a hybrid of oracle and manual techniques. Kanban system helps in reducing production costs and locating products easily. This system eliminates the transport of unnecessary items and useless motion of workers and machines, and saves time as how much to work and what would be the outcome are certain. There is quality assurance for each product at every step of the manufacturing process. In short, it results in smooth workflow, low inventory investment, less material handling, less space occupation, elimination of faulty material, less likelihood of stock perishing, less damages, fewer accidents, better customer service, saves rent expenses and reduced administrative costs. Plan to improve the current system. Answer questions like: Where is the defect? How can it be solved? When to intervene? What outcome is desired? Agree to pursue incremental, continuous, gradual, and evolutionary way to improve the system and steps taken should be small as this strategy will result in outcome anticipated and long-term benefit. Agree to respect the current process, roles, responsibilities and titles as this will result in easy implementation of new process and benefits of new process will be realized. Consequently, it will be easier to replace the previous process with new one. Leadership is required at all levels in the organization. Production Kanban authorizes production of goods. Withdrawal/Conveyance Kanban authorizes the movement of items from one production level to another. Transportation Kanban authorizes transportation of fixed amount of product to downstream (customer). Kanban Square is a marked area designated to hold items. Material Kanban is used to stock raw material for future use. Supplier Kanban is a link between suppliers and the organization. Supermarket-Style Kanban involves the systematic allocation of resources. Non-Card Kanban signals inventory requirements without any card. 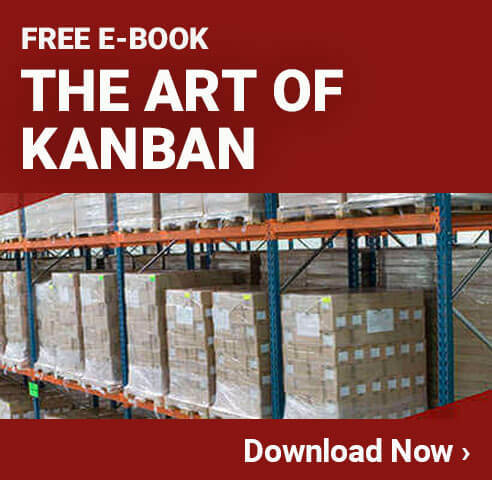 Electronic Kanban uses electronic methods to signal inventory requirements. Limit work-in-process for gradual improvement in the system. Manage flow for continuous development. Make policies explicit for better understanding and collective coordination. Implement Feedback Loops and know others opinions to realize maximum benefits of Kanban System. Improve collaboratively and evolve experimentally using scientific methods for gradual and evolutionary improvement. Previous post Which Way to Turn on the Lean Road?